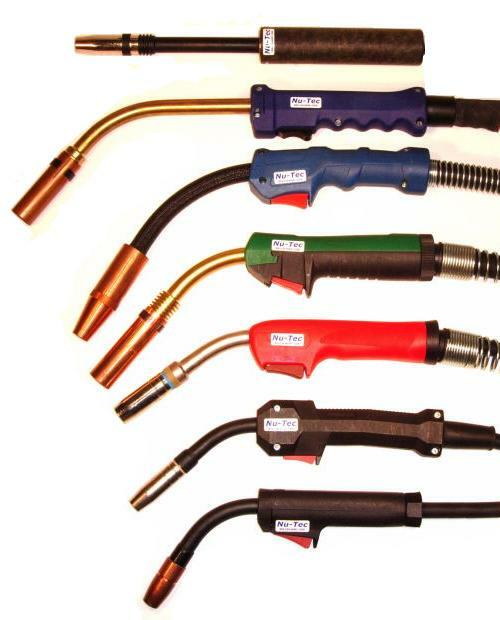 In addition to all of the standard Mig gun models offered from stock, Nu-Tec Systems offers made-to-order special, private-label and custom application Mig guns with various types of handles & cables with interchangeable consumables for all major manufacturer's products. And that's not just U.S. manufacturers, Nu-Tec has over 25 years experience with welding systems produced world-wide. 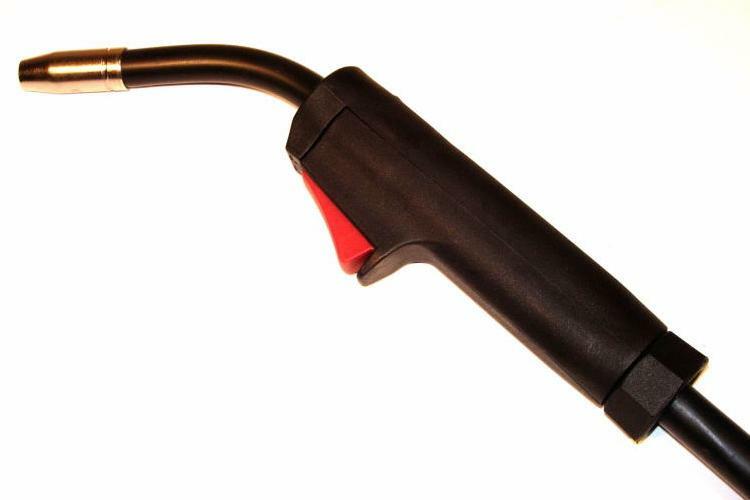 Whether it's a red handle or a special neck or a special nozzle or a custom power cable assembly, Nu-Tec makes it and often has the components readily available for immediate delivery. Nu-Tecsys Interchangeable Consumables- Nu-Tec Systems has a complete offering of interchangeable mig gun consumables for Bernard®, Binzel®, ESAB®, Firepower®, Hobart®, Lincoln®, Miller®, Tregaskiss®, Tweco® and many European manufacturers as well.